Brick City Pest Control is Ocala's premier service provider with over 30 years of Marion County pest control experience. Building on over 30 years of experience, Brick City Pest is a leader in sustainable solutions for pest control, termite control, and lawn care service in the Marion County Area. Great Service. Best protection. It's our commitment. It's how we've built our business and our reputation. Our residential and commercial services shield your home, business and property investments against damage caused by termites, promotes the health and beauty of your lawn, and safeguards you from unhealthy and unwanted pests. Environmentally mindful, Brick City Pest Control is certified in Florida Friendly Best Management Practices. We set the standard for service, and customer satisfaction. 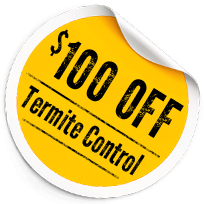 If you need a termite exterminator, or have a problem with ants, roaches, rats, mice, or any other pest, we are happy to provide a free inspection and estimate. Contact us today to get started! 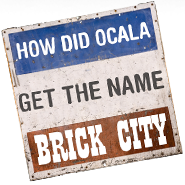 Why Does Ocala choose Brick City? A company with over 30 years experience in Marion County Pests. Your home is inspected for all pest problems including Termites and Rodents. Your lawn, ornamentals and property are inspected for infestations of all types. © | Brick City Pest Control. All Rights Reserved.